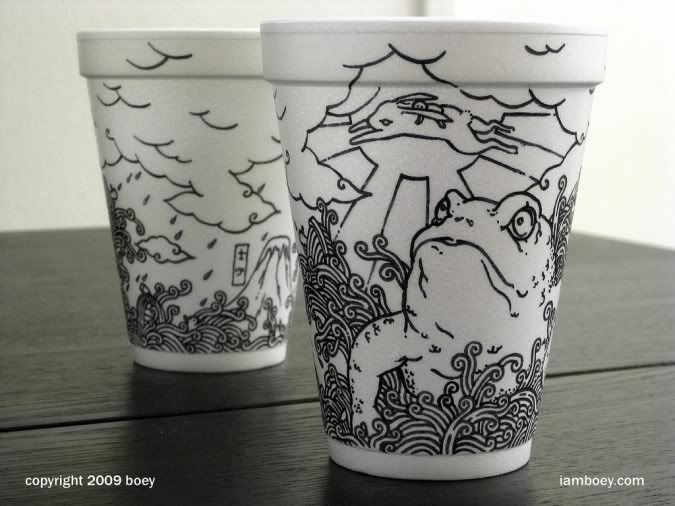 In the midst of barbecue season, we're bound to come across a few more styrofoam cups than usual, but these are far from the norm. 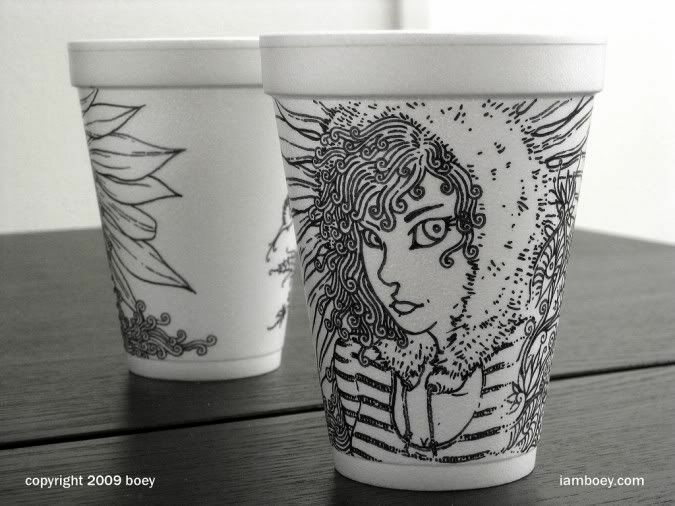 Cheeming Boey has a better use for Sharpies and those oh-so-horrible-for-the-environment styrofoam cups than just drinking. Wow! The designs are great! No need for the artist to have his/her show. 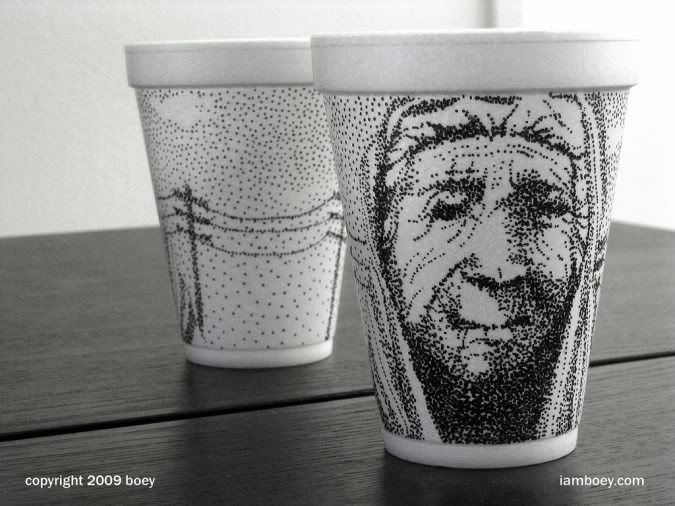 Indeed these designer cups could earn millions. Brilliant idea! Thanks for sharing. I can only imagine what he'll make off these in the long run.